In the one-off configuration, you specify, among other things, which Akeneo Channel your Shopware products are managed with. 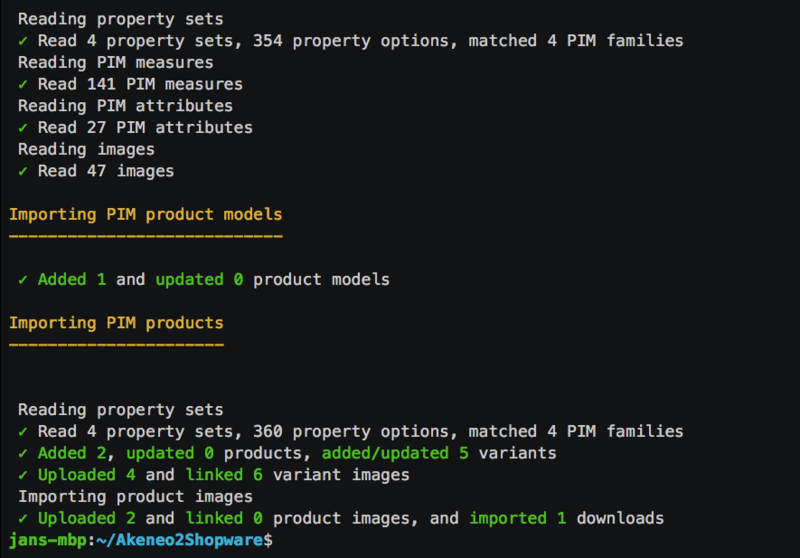 In addition, you make a one-time mapping in the configuration that you can use to determine which Akeneo attributes should be matched to which Shopware article master data. 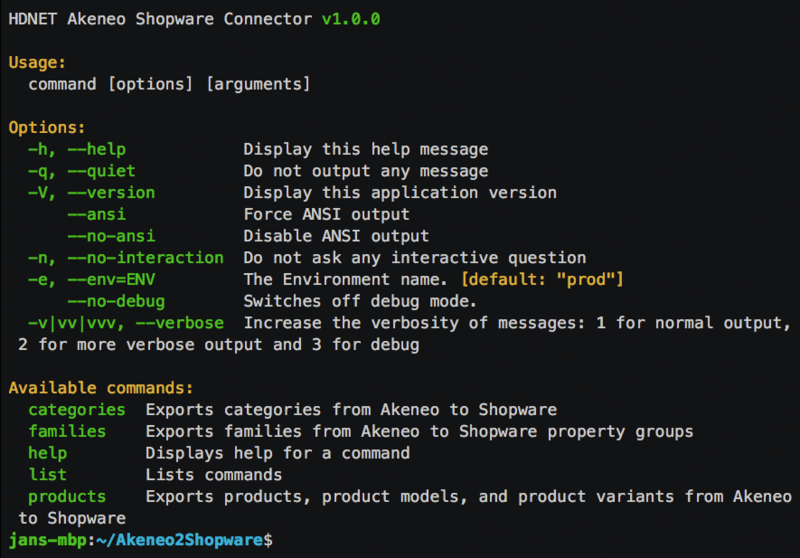 Additionally, you can configure these commands as cronjobs on your server so that the export from Akeneo to Shopware is fully automated. We are happy to assist you with the one-time configuration of the connector. Visit our website or contact us directly! The current version of this connector is 1.3.0 (Release date: 25.10.2018). This version provides the most important functions for the enrichment of your Shopware shop. Currently, it supports one channel and one locale. The software is consistently being developed according to customer requirements so that further features can be published in the future. Log warnings and errors to a log file (AK-89). Allow to provide product label using a different attribute than Akeneo's label attribute (AK-82). Allow to provide supplier information using an attribute (AK-47). Allow to provide tax information using an attribute (AK-29). Improve catching duplicate attribute names within a single product (AK-88). Split out Shopware PHP API client library (AK-99). 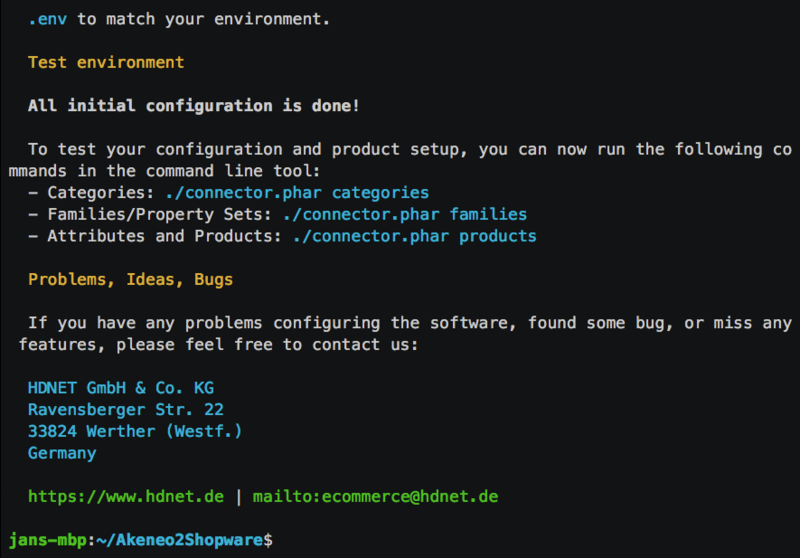 Automatically import all category properties added by the HDNET Akeneo Shopware Enhancer (https://www.hdnet.de/akeneo-shopware-enhancer) (AK-86). Fix importing release dates (AK-87). Catch duplicate attribute names within a single product (AK-88). Fix attribute mapping examples for packaging properties. Improve importing metric, boolean, and simple-select attributes. Fix importing variant attributes not on the variation axes. Fix adding only categories of the configured channel. Fix updating categories after attaching shopping worlds (AK-85). Fix updating categories after marking them inactive in Shopware (AK-61). If using product models and variants, create a "Text" attribute on the common level that refers to the code of the variant that should be used as the main article in Shopware. The default attribute name is `shopware_main`. 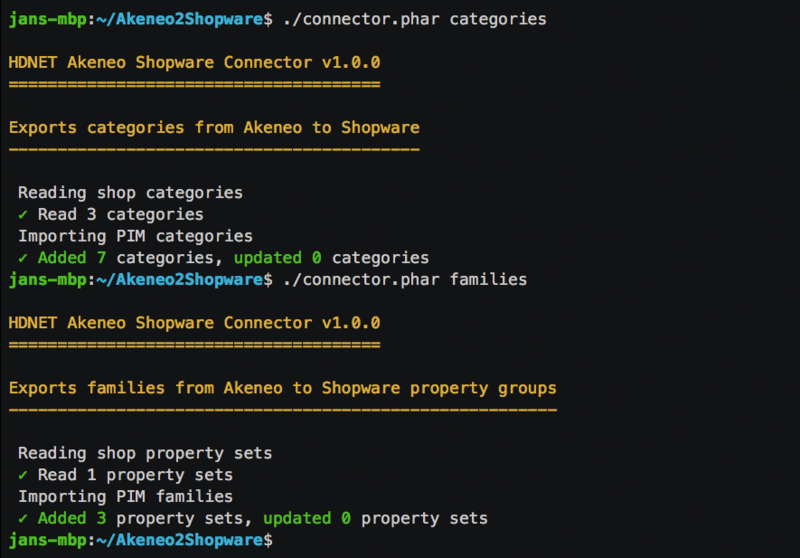 If the attribute value is empty, the connector will use the first variant of the product model returned from the Akeneo API as the main product in Shopware. 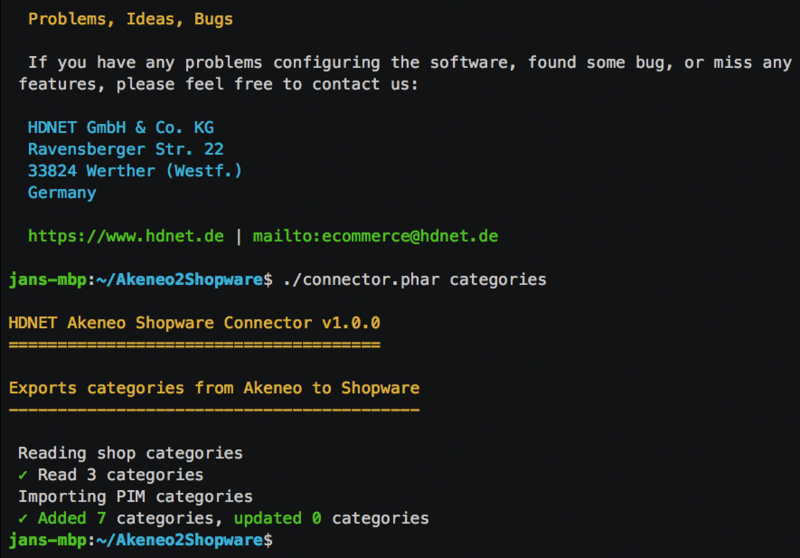 Install and activate the HDNET Akeneo Plugin for Shopware (feel free to contact us). If manually installing the plugin, unpack it into custom/plugins and run bin/console sw:plugin:refresh. Run bin/console sw:plugin:install HdnetAkeneoConnector && bin/console sw:plugin:activate HdnetAkeneoConnector. During the first run, it will create the configuration files `parameters.yaml` and `.env`, so you should run it in an new, empty directory for each of your projects, to avoid accidentally using existing configuration files. Then edit the entries in parameters.yaml and .env to match your environment. All initial configuration is done!